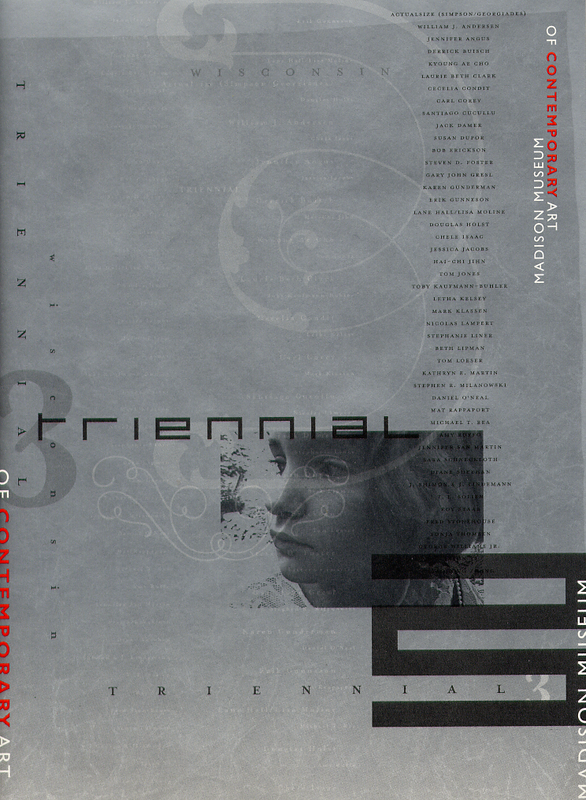 The 2007 Wisconsin Triennial is the eleventh statewide survey and exhibition undertaken by the Madison Museum of Contemporary Art since 1978. It’s also the museum’s first Triennial in its new, and greatly enlarged, Overture Center facility. Forty-three artists and three collaborative teams will display works in the main galleries, State Street Gallery, and New Media Gallery, as well as the museum’s lobby, second floor landing, rooftop sculpture garden, and a public hallway. As with past Triennials, the selection process involved a careful review of images, followed by studio visits. The museum’s curatorial team considered the work of 497 artists in CD, DVD, slide, and VHS formats. During the initial review sessions, the curators were impressed with the caliber of the artistic production. Ninety artists were selected for studio visits, and the curators traveled more than 2,000 miles over the course of three weeks to talk with artists from Milwaukee to Hudson, and from Green Bay and De Pere to Beloit, Amherst Junction, and Stevens Point. The 125+ works that make up the 2007 Triennial include site-specific pieces constructed at the museum, as well as finished works transported from artists’ studios. Assemblage, installation, paintings, photographs, sculpture, sound, and video are just some of the mediums represented. The exhibition also demonstrates the wide range of materials artists utilize today, as well as the diverse approaches to process and content.